TEHRAN (Tasnim) – IRGC commander on Monday described as void any resolution in contravention of Iran's red lines, as the United Nations Security Council is going to pass a resolution endorsing a document Iran and major world powers recently finalized on Tehran's nuclear program. "Any resolution that would be in contradiction to our country's red lines will have no validity," Commander of the Islamic Revolution Guards Corps Major General Mohammad Ali Jafari told Tasnim on Monday. His comments came hours before the UNSC begins to vote on a resolution that would endorse the finalized text of a lasting accord on Iran's nuclear program. Iran and the Group 5+1 (Russia, China, the US, Britain, France and Germany) on July 14 concluded more than two weeks of intensive talks in Vienna. The negotiations resulted in a comprehensive 159-page document on Iran’s nuclear program. 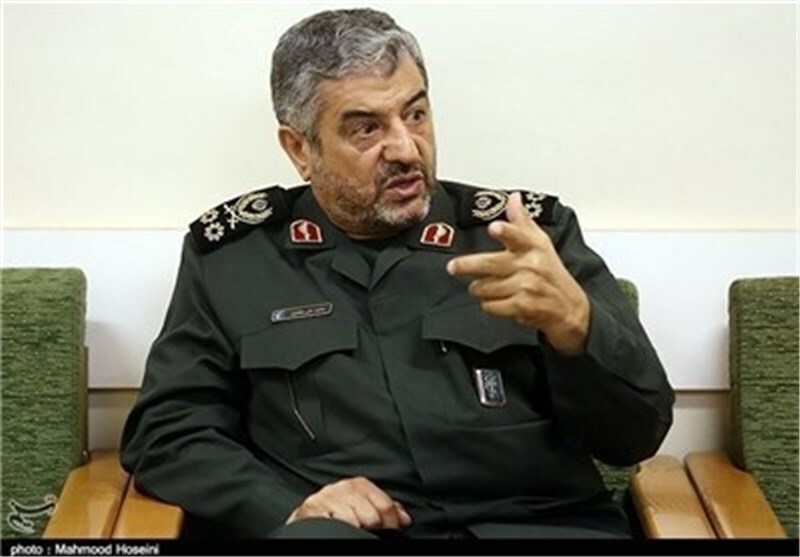 Elsewhere in his comments, Major General Jafari leveled severe criticism at the draft resolution, saying, "Some of the points inserted in the draft (resolution) are clearly in contradiction to the Islamic Republic of Iran's major red lines and violate them, particularly regarding (Iran's) arms capabilities, and we'll never accept it." The commander recommended the UNSC not to "waste its time" passing a resolution that violates Iran's red lines. 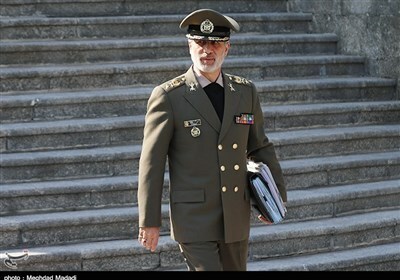 "What matters to me as a military official more than anything else is serious persistence… when it comes to the very critical red line, namely maintaining and upgrading Iran's defense capability," the top officer underscored. The IRGC commander explained that not a single Iranian official disagrees on negotiations and a "good deal" over the country's peaceful nuclear program. Major General Jafari also debunked a propaganda campaign the enemies have launched as part of a psychological war to create "fake polarities" in the Iranian society over the nuclear issue. Echoing previous remarks by Supreme Leader of the Islamic Revolution Ayatollah Seyed Ali Khamenei, the commander said the text of the nuclear conclusion has to be scrutinized in a legal process before a final view could be announced. "It seems that some have deliberately created a fake atmosphere in order to ignore such a legal process and block the path to assessing the (nuclear) conclusion in a timely and detailed manner and placing it in a legal path in compliance with the Iranian nation's interests."